And thank you to everyone who was involved with putting on Bout of Books 16. 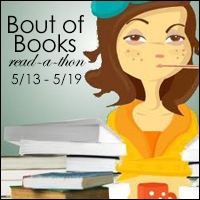 This was my first Bout of Books Read-a-thon, but it definitely won't be my last! It was really great; I had so much fun! Thank you all!! !